Passing on your clothes to TRAID supports, promotes, celebrates, advances and champions more sustainable production in the fashion industry. How? The projects TRAID funds (from the clothes you give to us for reuse) benefits the people and places making our clothes. From the cotton fields to the garment factories, TRAID funds projects to create positive change for the children, women, and men who grow, cut, stitch, embellish and dye our clothes. Taking the 23% campaign action to pass on your clothes to TRAID, and extend the life of your clothes, means we will be able to support more work to develop more sustainable production in the fashion industry. By massively scaling-up its ethical sourcing of organic cotton, the fashion industry could dramatically reduce the negative impact it has on the environment and people’s health. Using organic cotton to make our clothes would have a major impact on achieving Goal 12 (Responsible Consumption and Production). A TRAID funding priority is to secure and expand sustainable supplies of cotton. With partners like Pesticide Action Network, PAN Ethiopia and OBEPAB, we support thousands of farmers to grow organic in Benin and Ethiopia, back research into producing natural pesticides using cheap homemade ingredients and bring partners and farmers together from different countries together to learn from each other. This approach is yielding fantastic results. This year, 200 cotton farmers in Ethiopia became the first ever in the country to secure organic certification. A fantastic achievement. By developing sustainable cotton supply chains which don’t rely on hazardous pesticide use, we can reduce fashion’s impact on the environment while improving the lives, incomes and health of millions of farmers who depend on cotton. We can also play a significant role in helping the world achieve the Global Goals. TRAID has committed £1,427,416 to date supporting work to develop safer more sustainable ways to grow cotton, without using harmful pesticides. Take the 23% campaign action and help us do even more. Meet Wudinesh, a cotton farmer in Shelle Mella, Ethiopia. She is mother to seven children and has taken part in PAN Ethiopia’s Farmer Field School programme for more than 5 seasons. Wudinesh has learnt how to grow her crops using Integrated Pest Management techniques. She no longer uses pesticides, and instead uses a natural food spray made from every day, easily sourced ingredients, which encourage beneficial insects into her crops. She can now identify the difference between a beneficial insect and a pest, and has learnt how to monitor her crops for pest outbreaks. She has strategies in place for responding to these outbreaks and preventing them in the first place. Her training has included soil and water management, composting, inter-cropping and weeding. Wudinesh is proud of her ‘white gold’ and says she gets better yields and cotton quality than her neighbouring male farmers. 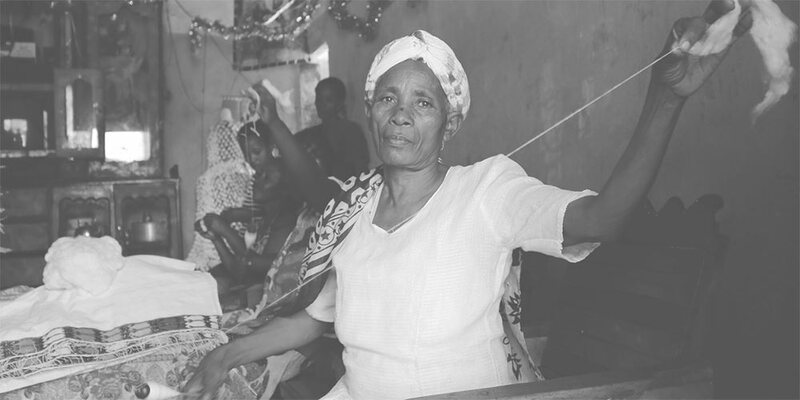 Her livelihood has improved now that she is also receiving a better price for her cotton. She is an active member of the women’s local spinning group and is keen for more women to take part in the training programme. She works on spreading the word at community gatherings. Wudinesh speaks very enthusiastically about the project and is thankful that her children, her community and her environment are no longer contaminated with toxic chemicals. Wudinesh is now a certified organic cotton farmer, one of the very first certified organic cotton farmers in Ethiopia. Watch the interview with Wudinesh. Find out more in Wearing Poverty Out.